Here’s a glimpse into the “behind the scenes” problem solving that goes into the work we produce. 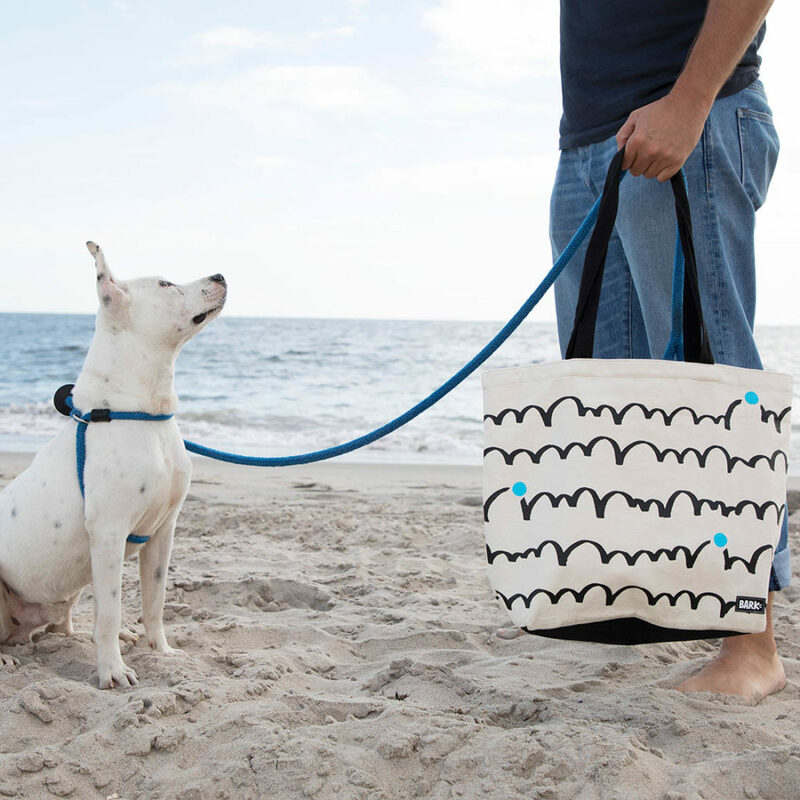 For this example, CDP’s creative and production team worked closely with the BarkBox creative team on their product development for a series of canvas bags and pouches that would be offered for sale in their online shop, barkshop.com. The main criteria are that the end result had to be beautiful and functional. We were committed to finding the most cost-efficient way to achieve the high-quality look and function one would expect from their products. The first challenge was two-fold; figure out the most efficient way to sew the product to save time and material usage, and then mix and match materials and colors to achieve the branded look. The end result was to use 600D material which has more flexibility on MOQ (Minimum Order Quantity) and also easy-clean quality, both practical and necessary. We all know how much fun our furry friends like to have. It was important to be able to easily remove the inner pocket lining for easy cleaning purposes. Although the finished product looks simple, it is actually a production challenge. The solution resulted in discovering a new sewing method to achieve the desired result. This put a smile on our client’s face. Woof! Believe it or not, a small product like a “poop bag” holder needs to be extremely accurate in measurement. A quarter-inch difference can make a big impact on a user’s experience. This type of production detail required close oversight during the entire manufacturing process in order to ensure the products were on schedule and complied with strict quality control. The client wanted to use hardware that did not yet exist. Challenge accepted! The solution was to create a custom mold. The result of collaboration, ingenuity, and communication helped achieve successful results. In manufacturing, there are no problems that cannot be solved with a little ingenuity and years of experience to back it up. From material choice to hardware to branding options, unique solutions can be efficiently manufactured while staying within a budget. It is possible. With a flair for style and working knowledge of current fashion trends, material availability and quality standards, CDP’s creative and production team are able to create a custom product that will help make your sales promotion a success. Talk to Custom Direct Promotions about your next successful GWP program. By phone at 212.336.1560 or sung@customdirectpromo.com. Sung Park, along with his wife and business partner, Annie, own Custom Direct Promotions (CDP). CDP is a provider of high-quality GWP packaging solutions to optimize materials used and control costs for luxury brands. CDP works with you to develop products that reflect your unique brand and appeal to your customers. Our custom bags are delivered on time, on spec, and most importantly on budget. We’ve earned our reputation as a trustworthy and reliable partner with all of our clients – the proof is in the product. WE’RE YOUR GWP BAG SPECIALISTS! Our products speak for themselves – high quality fashion and function at budget friendly prices. We create GWP (gift with purchase) bags that help increase sales. We work with you to develop products that reflect your unique brand and appeal to your customers. Our custom bags are delivered on time, on spec and most importantly on-budget.